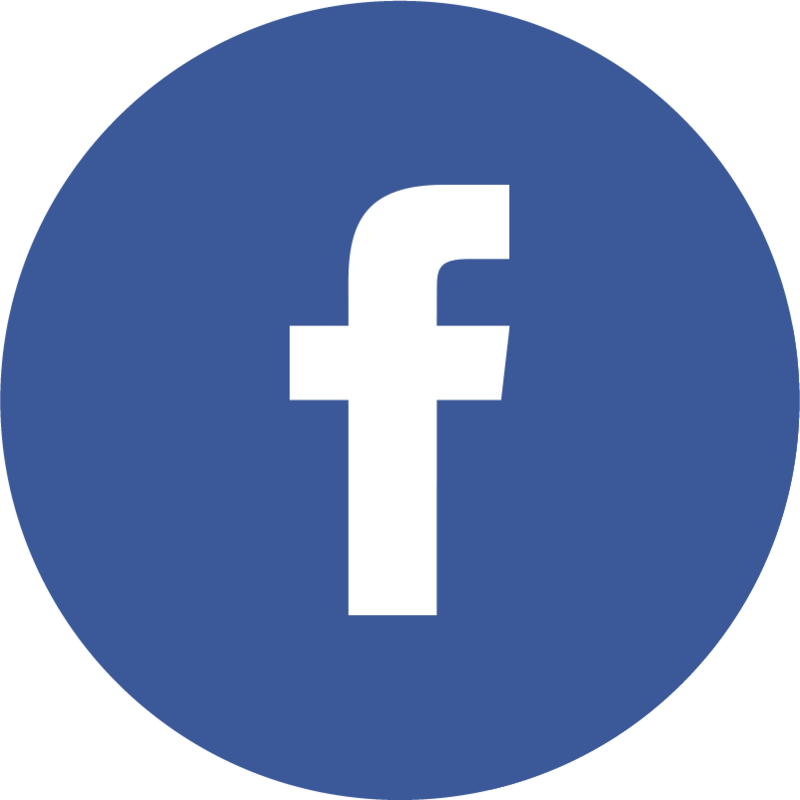 You are here: Home » News and Updates » Don’t turn your back on Palestine refugees! We have officially completed our 9th year of Project SHINE and the inaugural year of Project MUSIC. We are incredibly impressed by the commitment of our phenomenal students, volunteers, and community. While goodbyes are never easy, we know that the friendships forged over this summer will last a lifetime, and we look forward to another year of collaboration, mutual learning, and international solidarity. Thank you to all of our donors and supporters who helped make Project SHINE and Project MUSIC incredible successes! Although our summer projects have officially come to a close, we have transitioned to the start of Project ASPIRE, which offers English classes to students in kindergarten, grades 1-3, and middle schoolers in grades 8 and 9. 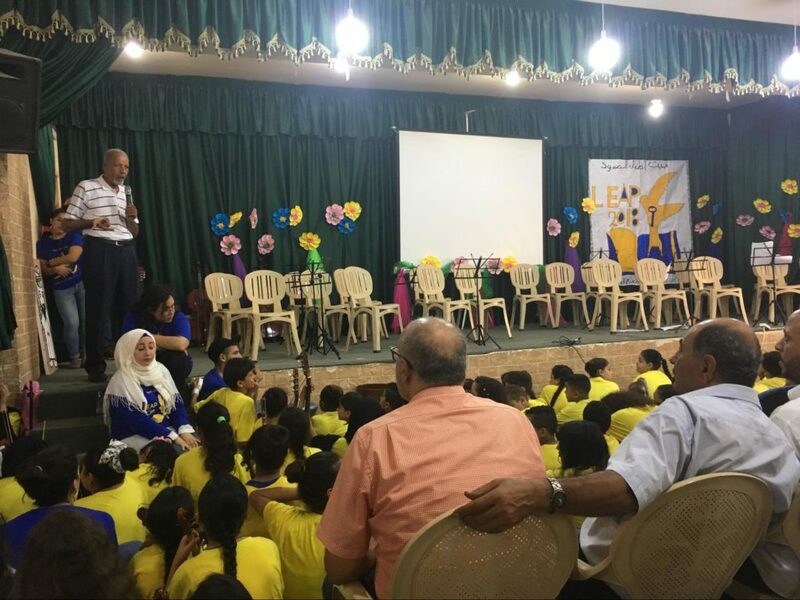 LEAP volunteers implement English classes to complement students’ UNRWA education and advance their proficiency. In order to continue offering year-round educational support to refugee youth, in partnership with Beit Atfal Assumoud, please help sustain us by making a tax-deductible donation today! As many of you know, last week the United States government made the cruel decision to completely end funding to UNRWA. The impact this will have on the daily reality of over 5.5 million Palestine refugees is profound and devastating. Not only will this impact refugees’ access to health and living services, it will also, tragically, affect their education and food security. No nation, state, or person can deny a refugee their inalienable rights of return and repatriation. LEAP continues to be in solidarity with all refugees and we remain committed to the power of our students as the ultimate agents of change. Join us in standing in solidarity with Palestine refugee youth and investing in their education. Make a tax-deductible donation today to invest in the power of young people! Congratulations to our entire team who made Project SHINE and Project MUSIC a beautiful achievement! 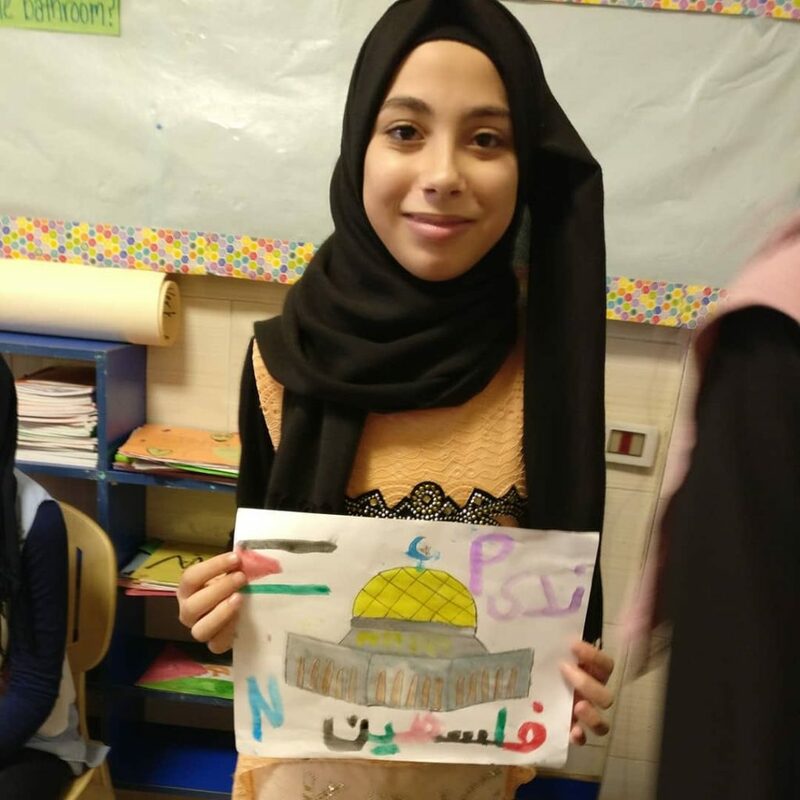 Shaimaa’s beautiful rendition of the Dome of the Rock! 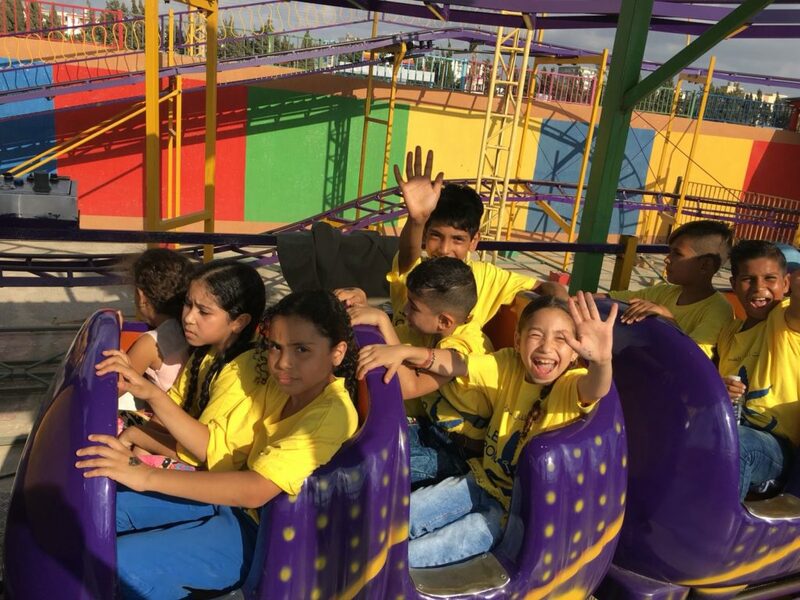 Friday Field Trips : Project MUSIC students having fun at the Fun-Fair! 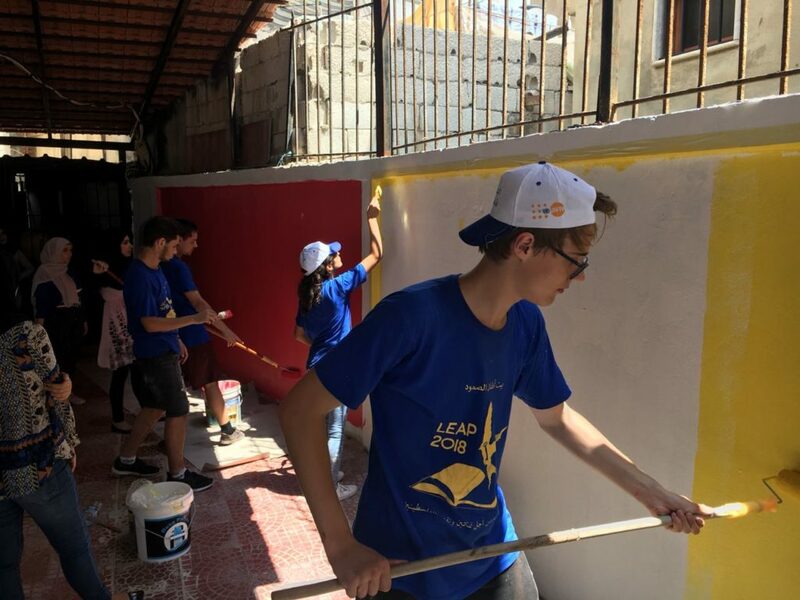 LEAP Volunteers lending a hand in mural painting at Rashidieh Camp! Rashidieh Camp Wall Renovation Project! Closing Ceremony at Rashidieh Camp!